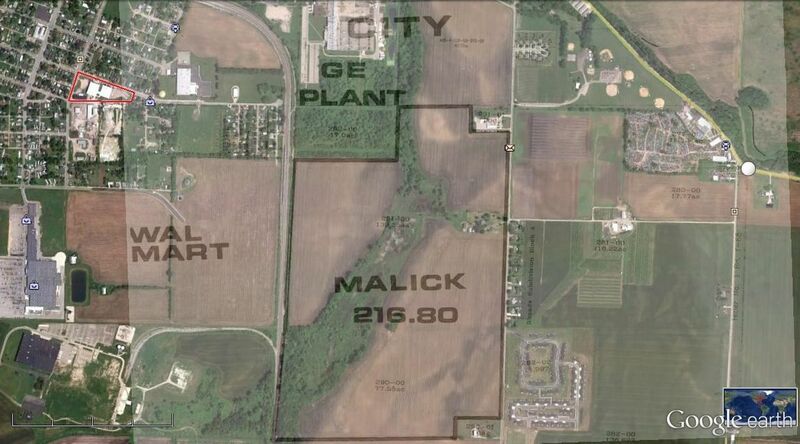 216.80 acres for development, zoned General/Light Industrial. Currently used for agriculture, with original home site as residential rental investment. Sewer and water on site. West side borders railroad (approx. 4,800 l. f.). General Electric manufacturing plant adjacent to property, which is located just outside City corporation limits. U. S. Rt. 23 is located nearby as well.